Currently, India is caught in the throes of a severe heat emergency. 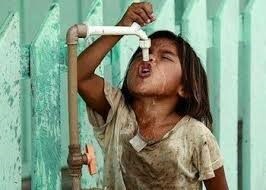 Heat waves have parched the land and created a health and humanitarian crisis. This is particularly true of some of the south eastern States, which saw temperatures rise above 43⁰C. Heat waves occur when temperatures rise in combination with high humidity. If such circumstances extend for over two days, they can cause hyperthermia, resulting in heat strokes and even death. Some 2000 deaths in 2015 are linked to heat waves around the country. The human body maintains a core temperature of 37.6⁰C and skin temperature of 35⁰C. When temperatures rise, people sweat and the body cools down because of evapotranspiration. However, when high heat is accompanied by high humidity, perspiration doesn’t dry up and skin temperature increases, raising core body temperatures. This explains the high mortality in coastal areas such as Odisha and Andhra Pradesh, where temperatures may be lower than the hinterland, but humidity is high. Heat waves are a natural disaster. However, human ingenuity can be used to reduce the worst effects of this disaster. The state of Odisha has actually witnessed a reduction in mortality per heat wave day (see Figure 1) in recent years due to some interventions, even though the number of heat wave days has remained high. Hot summers are normal in Odisha. However, 1998 was abnormal. A sudden onset of an extended period of heat and humidity killed some 2040 people. In response, the alarmed State Government launched a heat wave awareness campaign focussing on behavioural changes (see Box 1) through the Disaster Risk Management (DRM) programme, among others. The State Institute of Health and Family Welfare and the Orissa State Disaster Management Authority widely disseminated such heat wave related tips through newspapers, radio, television, local volunteers, health and Anganwadi workers etc. Abnormal increase in body temperature. Consume a variety of liquids like water rice, belapana, sarbat, curd water, ORT solution etc. Eat vegetables and fruits such as watermelon, cucumber etc. Work more during the morning and afternoon and less during noon time. In 2010-11, the South Asia Network for Developmental and Environmental Economics (SANDEE) sponsored a study to evaluate the effectiveness of awareness generation on heat wave mortality. Heat wave mortality data of the 16 districts, where the DRM project was implemented, were statistically examined and compared with mortality in other 14 districts where no such program ran. Initially, the DRM districts had more deaths from heat waves compared to non-DRM districts. However, after the DRM project that ran for 6 years, the scenario reversed and DRM districts had lower death rates. Based on this analysis, we can assert that there is indeed a strong connection between awareness campaigns, behavioural changes and heat wave mortality. Exposure and death can be minimized through some simple actions. Hot weather and high humidity distress everybody, but the poor are the worst affected. This is because the rich and the middle class respond and adapt to the heat, while the poor, who are without cars, air conditioners or fans and even water, and are unable to change their work patterns, are starkly exposed. Yet, here too, government action goes a long way. 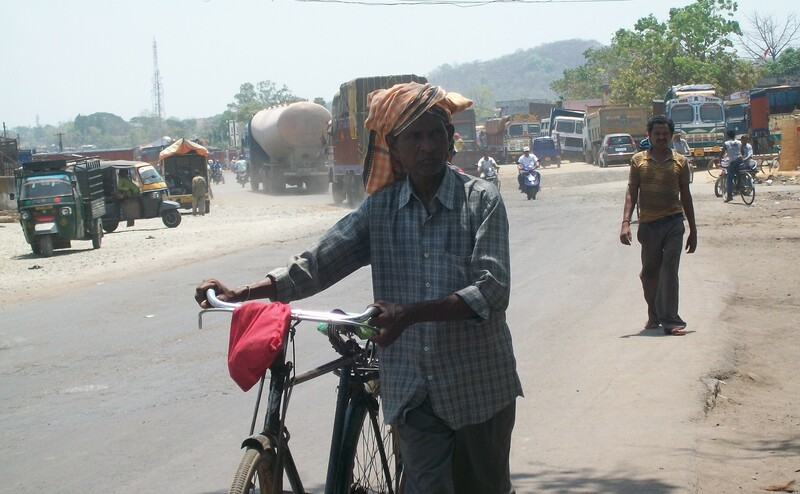 A recent survey indicated that 99 % of rickshaw pullers, cobblers, and other lower income workers in Bhubaneswar and Sambalpur were aware of the Odisha Government’s continued heat wave awareness campaigns. On average, during very hot weather, 73% of the workers reported that they drink water, 65% eat cucumbers and onion before leaving their homes, 63 to 64 % carry a water bottle and an umbrella, 26% wear light-color cotton clothing, 21% do not walk barefoot and 33% do not work during noon hours. Clearly, there is a link between information provided by the government and lower deaths. Thus, programs such as the one in Odisha need to be replicated in other states that are struggling with heat related mortalities. The Intergovernmental Panel on Climate Change (2007, 2014) reports that the frequency and duration of heat waves have increased with climate change. There is published evidence showing that a warming climate increased the probability of the occurrence of individual ‘heat’ events such as the 2003 European heat wave, the 2010 Russian heat wave and the 2013 Australian summer heat. The world and South Asia are likely to face more hot days and hot nights in coming years. In the long run, adjustments such as increased use of air-conditioning or dense green cover may be possible. But these options are not feasible in the short run and are limited in who they benefit. Right now, awareness generation about simple behavioural changes will go a long way in offering protection against heat waves. However, we also need to give deep thought to our own actions and their contribution to climate change. Our actions that influence global warming may well result in affecting our lives and health or at least that of our children.